Dr. Chang was born in Taiwan and grew up in Richmond. 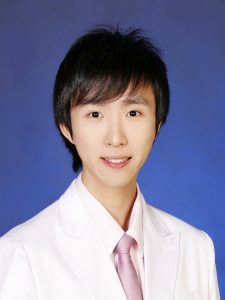 After attending the University of British Columbia for his Bachelor of Science in Biochemistry, he attended The University of Sydney in Australia, where he received his Doctor of Dental Medicine degree. Prior to attending dental school, he was actively involved in the local community. Due to his passion for animal welfare, Benjamin volunteered with the Richmond Animal Protection Society. He also volunteered in the palliative care unit of Richmond Hospital on a weekly basis. Dr. Chang was also heavily involved academically, where he received multiple scholarships upon entry into UBC. His first exposure to research was in high school, where he was one of ten students selected across BC by the Heart and Stroke Foundation to participate in their summer research program. Throughout his undergraduate degree, he conducted research in the field of spinal cord injury with Dr. Andrei Krassioukov, a renowned clinician-researcher who has dedicated his career to improving the quality of life for individuals with spinal cord injury. Dr. Chang has presented his project at multiple conferences, one being the 2010 Annual Meeting of the Academy of Spinal Cord Injury Professionals in Las Vegas. He was also awarded the Undergraduate Student Research Award from the Natural Sciences and Engineering Research Council of Canada. Dr. Chang attributes much of his passion for medicine and strive for excellence to Dr. Krassioukov. While in dental school, Dr. Chang was trained to provide comprehensive dental care in a major hospital setting under the direct supervision of numerous specialists. Upon graduation, for his literature review on the controversial cancerous nature of oral lichen planus, he was awarded the Royal Australasian College of Dental Surgeons Award for the most outstanding honours project. Dr. Chang enjoys the interpersonal aspect of dentistry, and he firmly believes in treating each patient as he would his own family member. He is also a strong proponent of lifelong learning. He is a certified Invisalign provider, and has taken continuing education courses in occlusion and temporomandibular joint disorder. Dr. Chang is currently enrolled in the rigorous American Academy of Implant Dentistry’s MaxiCourse offered at UBC. In his spare time, Benjamin enjoys playing the violin and going to the gym. Dr. Chang is fluent in both Mandarin and English.